Meet Mimi, the first in a series of inspirational women we admire at ECOYA. The admirable and incredibly talented Mimi Gilmour Buckley, is the co-founder of the Burger Burger restaurants in Auckland. 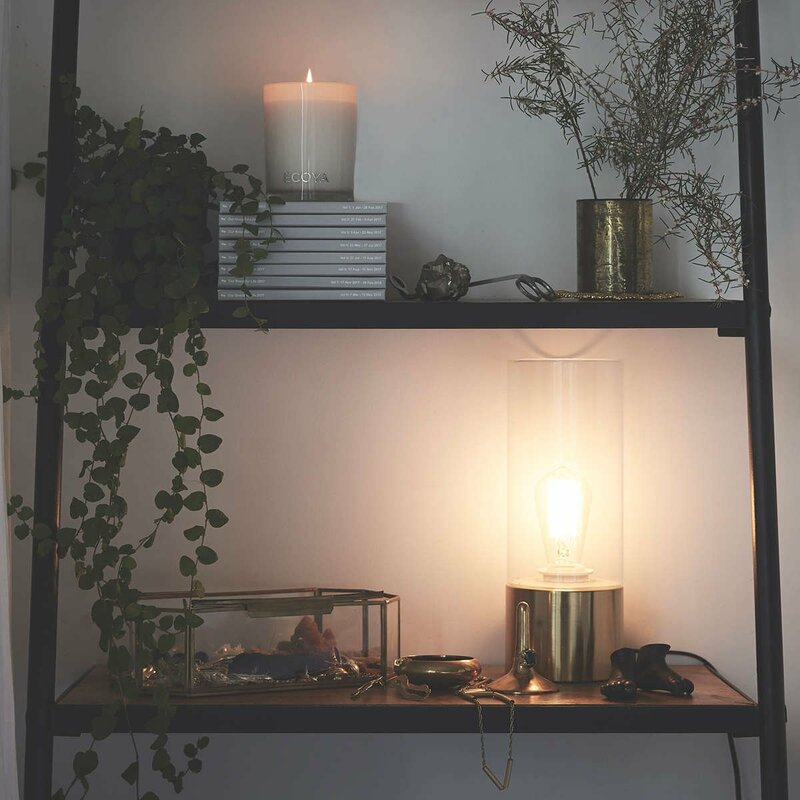 The hospo-dynamo invited us into her Ponsonby home where she shared her favourite interior moments, her home styling tips and her luxe beauty buys. This fearless creative describes her interior style as a ‘tidy maximalist’. 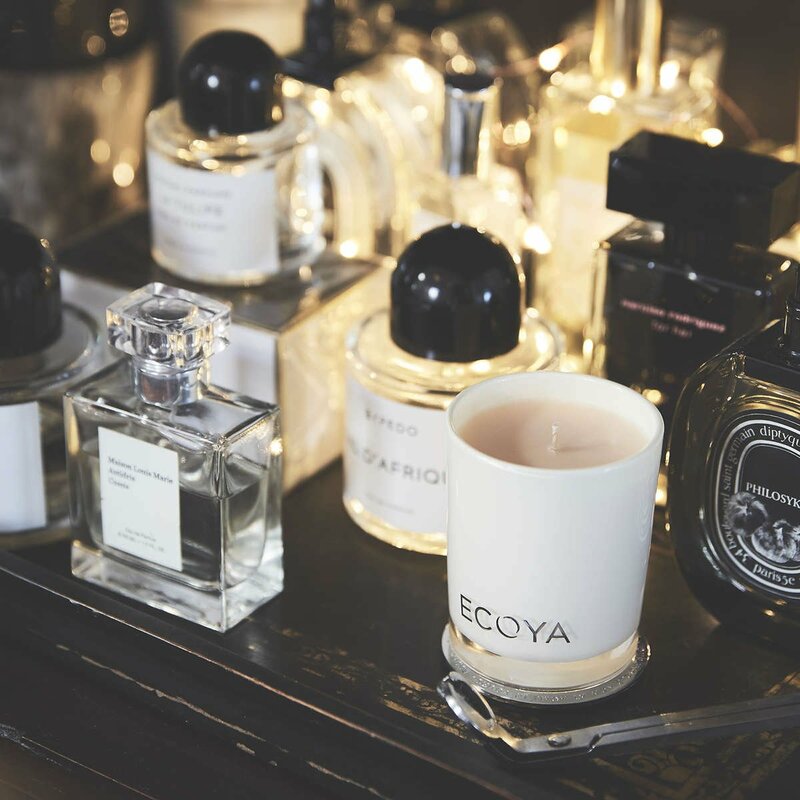 Her home, that she shares with her husband Stephen and daughter Olympia, is a collection of thoughtful treasures and indulgent items. 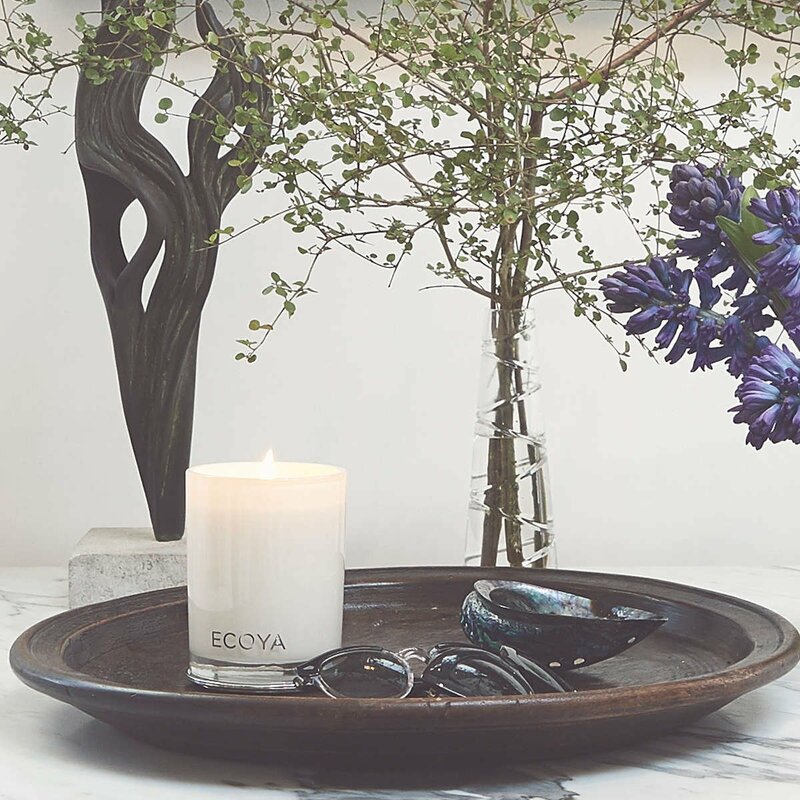 Read more about Mimi and some of her favourite things (including her top ECOYA fragrances) inside her beautiful Ponsonby villa. I’m a tidy maximalist. My comfort zone is a neutral palette with lots of natural materials jazzed up with art, photos of the people we love, books (mainly cookbooks with a slash of interior design + I love a good mag) and lots of little treasures that mean something special to me, whether that be spears we brought back from Africa, the little unicorn from the top of Olympia's first birthday cake, greenstone pieces that belonged to my grandfather or my collection of perfume bottles. I LOVE a good facial (I go to Kate from Skinography because her hands are MAGIC - It’s a spiritual experience). I am also quite obsessed with having a heavily moisturised face and move between many concoctions depending on how my skin is feeling including a good vitamin C and A serum, Dermaviduals, Maryse beauty face oil and La Mer for a special treat. Other than that I always have a strong brow, mascara and a bit of a glow. I once read that French women look so effortlessly chic because they religiously look after their skin from the inside out and therefore their beauty shines from within and they need minimal make-up... that’s my goal! Character - I think a great interior should reflect the people that live in it. Our kitchen/ living/ dining room - my family life, for as long as I can remember, has always been centred around cooking and sharing a meal with the people we love most in the world. When we moved from our big apartment into our house I was very determined to bring our beautiful dining table with us (one of my best friends, Nat Cheshire, designed it especially for us) even though my mama and husband said I was crazy as it is ginormous, however I won and now it takes up a little too much room, but I adore it! We also have a glass and timber cabinet in the living area that is filled to the brim with memories and I look at it almost every day, it reminds me of how full of love my life is. Hand cream, water, a photo of my hubby and I at my sister's wedding, a photo of Poochi (Poochi is Mimi’s nickname for her daughter, Olympia) and the collection of books I have made from all my Instagram photo’s called ‘Our Beautiful Life’... I flick through one of them almost every week.